Women always like to buy cosmetic products and want to use every new makeup product launched in the market. Cosmetics products manufacturers provide their customers ease by sending them makeup product on monthly basis. For sending those cosmetic products, they use monthly makeup subscription boxes that are printed with catchy printing designs and sometimes their logo and company name. These boxes should be durable and sturdy enough to bear the load of heavy cosmetic products. Manufacturers are provided with option to customize the boxes according to the dimension and design that they want. If you have different cosmetic products that you want to send to your subscribers. Custom boxes provide opportunity to ship them easily by packing in customized boxes by printing the image of the product outside. 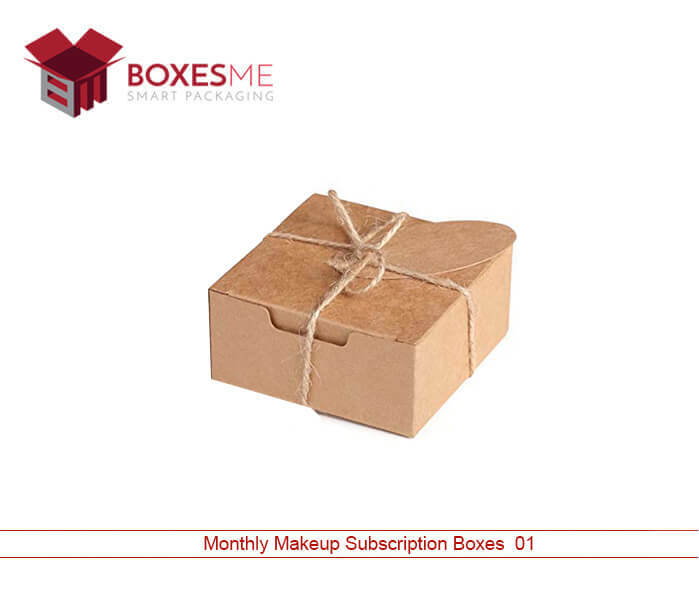 Monthly makeup subscription boxes impose a positive first impression on the customers and make them your brand loyal. 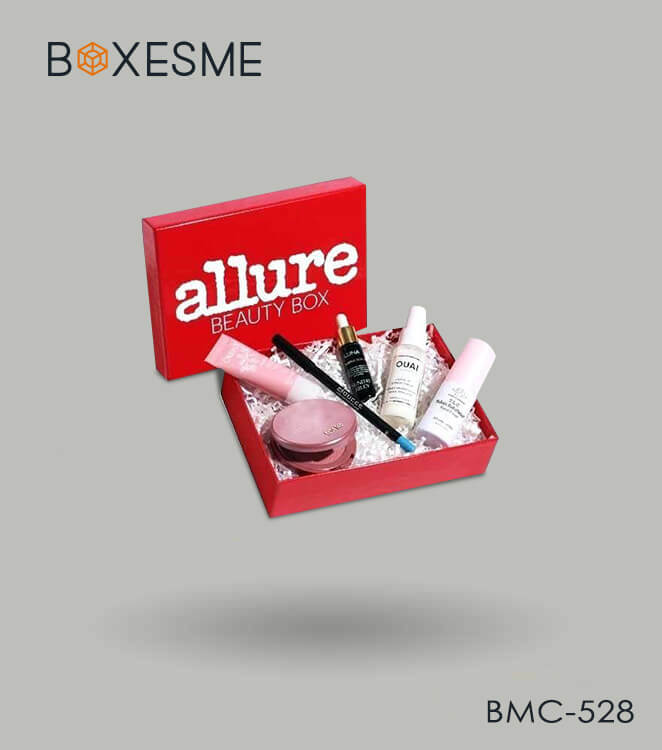 On the other hand, premade make up subscription boxes can provide protection but they lack the advantage of branding which is only possible if you customize the box in your desired style and shape. Plenty of other advantages of custom boxes include the right dimension, structure and required design that you expect them to be. Make unique identity among the cosmetic lovers by presenting your makeup products in stylish boxes. You can design the boxes in various styles, some of them are listed below. All these boxes styles can be acquired without any extra charges. They are tailor-made to product specific shape, style and design. You will also have the option to glorify the boxes with plenty of finishing options made available to you. These options include gloss lamination, aqueous coating, spot UV and embossing. You can make your logo prominent on these boxes with special techniques that enrich the printed text. 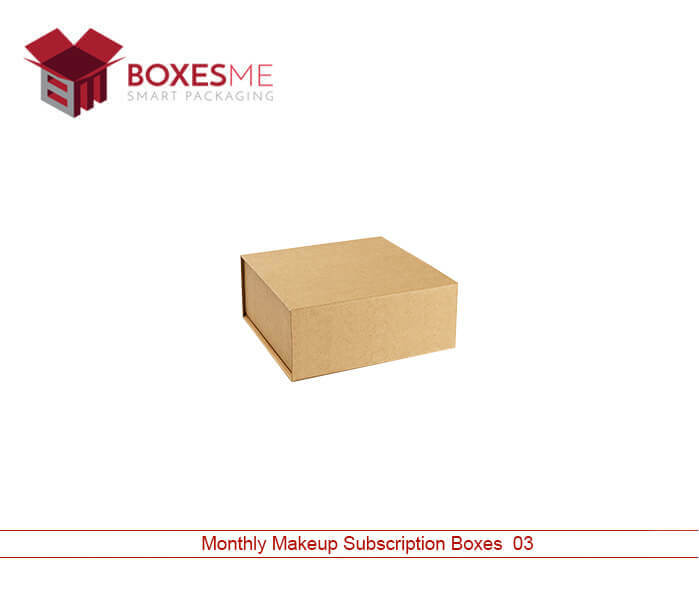 Special cardboard and Kraft material is used for the manufacturing of monthly makeup subscription boxes. Corrugated stock can also be used if more strength and durability is required. They are sealed and added with inserts that hold the cosmetic products tightly during the wear and tear and transportation. Not only that, the cardboard material can be printed with full printing that enhance their appeal in front of the customers and surprise them with the exciting look when they receive their subscribed products. Die cut window works like icing on the cake as it look amazing on the front panel of the subscription boxes. 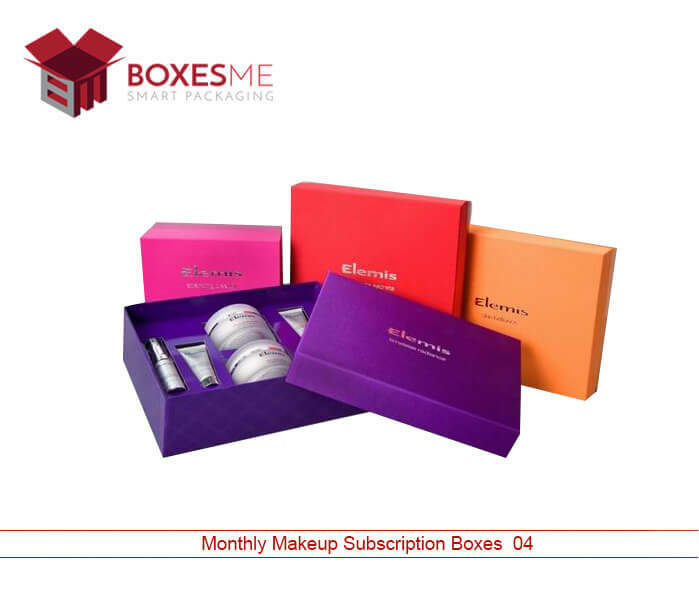 BoxesMe provide full customization options for you to design the monthly makeup subscription boxes. We let you take full control for the choosing the material, style and design of the boxes. Free design support is povided to you with free shipping all over United States.